Gerontology encompasses the study of physical, biological, mental and social changes in elderly people. Multidisciplinary nature of gerontology is associated with physiology, psychology, sociology, social work and public health. The elderly, most rapidly growing proportion globally, are associated with chronic diseases, comorbidity, disability, frailty and social isolation. The aged population (65 years or older) in the United States alone has grown at a faster rate from 281.4 million in 2000 to 308.7 million in 2010. Geriatric care management include health care and psychological care, nutritional and socialization programs. Poly-pharmacy is the use of four or more medications by the patients, aged over 65 years. Furthermore, poly-pharmacy is highly common in the elderly affecting about 40% of the aged living in their own homes. Hence, researches need to focus on the efficient procedures and applications from the bench to bed and beyond. The potential authors will be contacted through emails and personal invitations. Once the papers are received, they will be submitted to the reviewers of the specific fields for their critical reviews before accepted for the publications. Around 8-12 reviews or original publications are expected for the submission. The potential authors are contacted within a month of the approval by the Journal Office. The authors are expected to submit their manuscripts in about 6 to 8 months. Revisions of submitted papers will be completed in a month. Guest Editors: Dr. Rao Gollapudi, Ph.D and Professor Noboru Motohashi, Ph.D. This special issue of Recent Advances in Gerontology and Geriatric Care solicits papers with a specific focus on the research, involving dissemination or implementation of evidence-based health interventions in the elderly. This special issue will highlight the role of community partnerships in the conduct of the research in gerontology, poly-pharmacy and geriatric care. Furthermore, the research involves the communities and clinical settings consisting of patients, families, administrators, clinicians and partnered researchers. The studies that assess gerontology, poly-pharmacy and geriatric acre are particularly applauded. Conceptual contributions are notably encouraged. Original publications, empirical and clinical studies as well as literature reviews are encouraged for submission. Qualitative, quantities or mixed-methods papers are welcome. Abstract submission deadline: Within one month and half after the special issue approval. 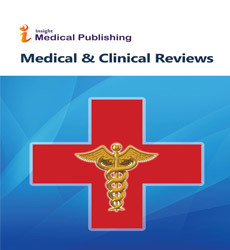 Please specify in the author comments section that the manuscript is to be considered for the special issue on Recent Advances in Gerontology and Geriatric Care. The Special issue is schedule to appear in 2017-18.